If you bake it, they will come. 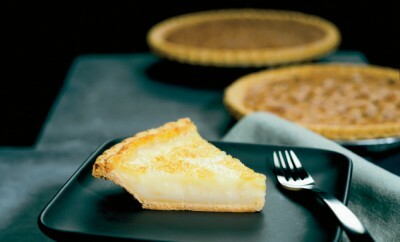 Make the best-tasting pies in town, and word of mouth will be all the advertising you need. At least, that’s how it works for Lisa’s Pie Shop in Atlanta, Ind. Shop owner Lisa Sparks, her husband, Jim, and an employee named Honey churn out 500 to 600 pies a day and up to 2,000 for Thanksgiving. Pies, pies in a jar, cookies, cupcakes, cakes, cinnamon rolls, quiches, chicken pot pies, jams and pinwheels are their specialties, but it all began about a quarter-century ago with a single apple pie. At the time, Lisa was trying to teach herself how to bake. Her husband’s best friend’s mother put her arm around Lisa and let her in on a secret. “She said, ‘If you put this in your pie crust and this in your filling, you’ll never have a bad pie,’” Lisa recalls, and the friend was right. Lisa doesn’t divulge those ingredients to anyone, but she took the advice when entering her apple pie into a local contest – and won. “She had no idea what she started when she did that,” Lisa says. Winning the contest inspired Lisa to quit her factory job and go into the pie business. That career choice was surprising, because Lisa doesn’t like pie and never taste-tests her products herself. Baking in her own kitchen, she would then sell her pies to local restaurants and grocery chains. 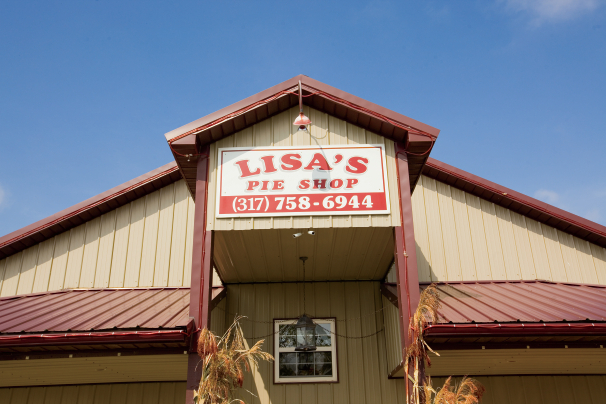 After 12 years, the entrepreneur opened Lisa’s Pie Shop. Today, business continues to expand like a piping hot pie baking in the oven. Lisa’s Pie Shop might be considered a bit old-fashioned. They don’t use computers and complete everything by hand, including Lisa’s signature fruit design etched on to each double-crust pie. Customers can count on nearly 30 different freshly made pies every day, from Dutch apple and strawberry rhubarb to sugar cream to a Hershey bar chocolate pie that tastes like s’mores. “I will take a bite out of that one,” Lisa says of the latter. As a rule, nothing sits out for more than 24 hours, which is how the popular pie-in-a-jar concept came to be: keeping pies, crust and all, from going to waste. 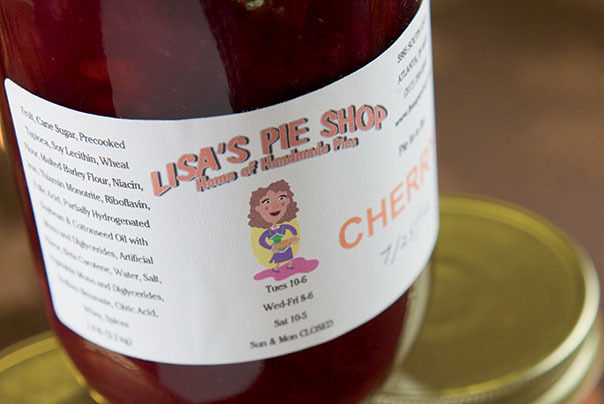 Lisa’s pies have won regional and national pie competitions, including the title of best sugar cream pie at the 2012 Great American Pie Festival. “It’s a huge honor since it’s the state pie,” Lisa says. Personal attention and fresh ingredients explain why her business thrives. “We use the best fruit,” says Lisa, who grows black raspberries, peaches, boysenberries, blackberries and apples for her jams. She sources other fruits from farmers markets. At a time when others skimp on ingredients to cut costs, Lisa refuses to change a thing. “Little businesses like mine don’t stay in business unless they have something special,” she says. 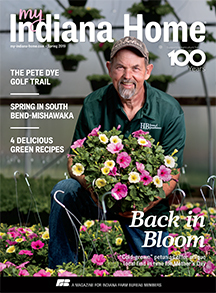 Correction: A previous version of the story incorrectly stated that Lisa’s Pie Shop beat out the popular Winchester-based pie company Wick’s at the Great American Pie Festival. However, they did not compete directly as they are in two different divisions. We apologize for the error. 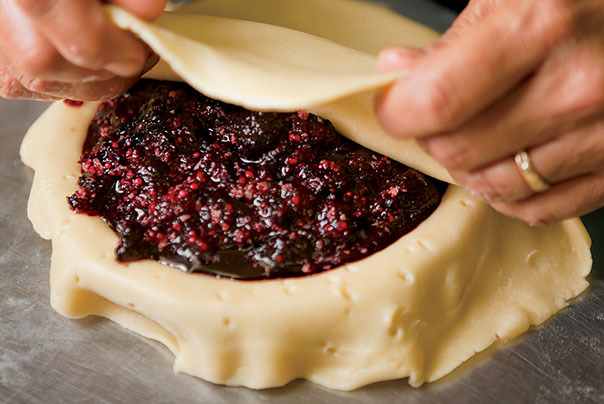 Sweet as Pie at Wick’s Pies, Inc.
Do you make boysenberry pie? I would like to purchase a boysenberry pie but cannot find one here in the Indy area. Thanks for your comment! Please contact Lisa’s Pie Shop directly at 317-758-6944 or lisaspieshop@gmail.com for flavors and pricing. Hope this helps. Thanks! This is a great shop and great shop owner! Glad to learn even more about her success!